After a summer break, volunteer days for the stormwater wetland program are beginning again this Thursday, October 1. 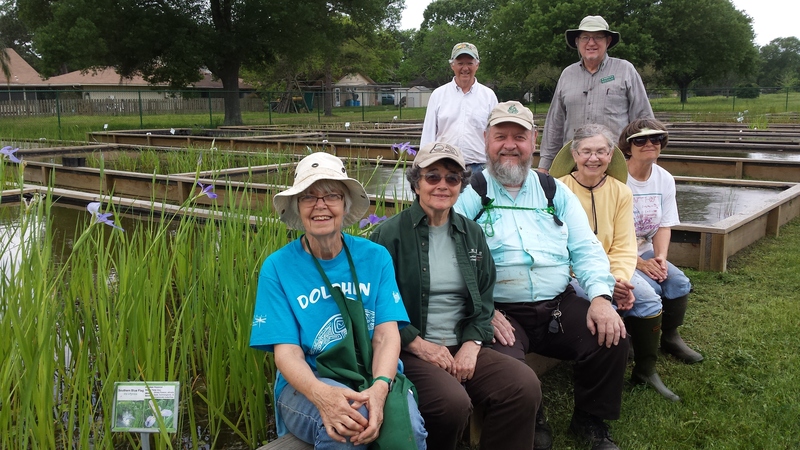 Our home base is the wetland nursery you see here at Exploration Green in Clear Lake City, but we make also forays to collect wetland plants and seeds, to plant our stormwater wetland projects around Galveston Bay, and to enjoy and learn about natural and created wetlands. We meet each Thursday morning, 9am to 12pm. Many of our volunteers are Texas Master Naturalists, but we are also joined by friends and neighbors, TCWP interns, and others. If you’d like to join us or find out more, contact Mary Carol at mcedwards@tamu.edu.